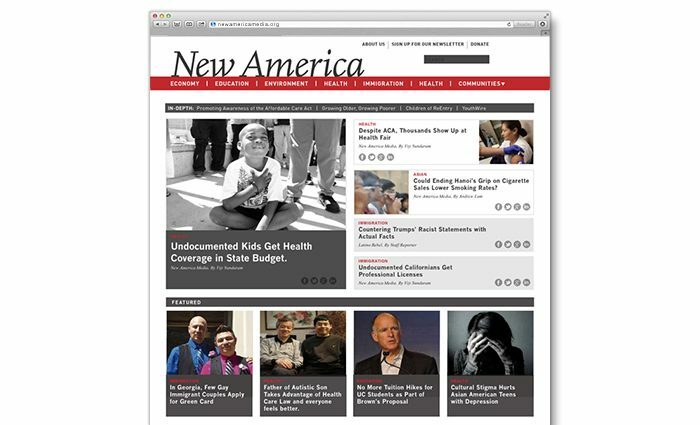 Creating a site that encourages civic engagement — for a news agency that represents diverse communities. 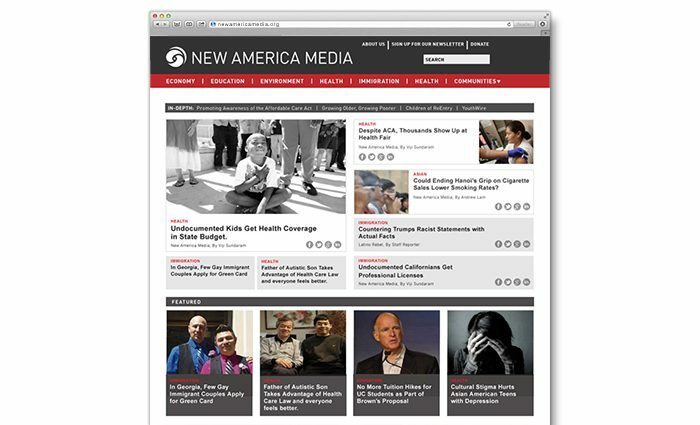 New America Media is a news agency that represents and reports on underserved communities. In addition to in-depth news coverage, the agency conducts regular community advocacy events. Participation in and and awareness of these events is built into this new mobile first site. My analysis of New America’s previous site’s Google Analytics revealed that fully half of the traffic is inbound from organic search. As a result, most visitors never see the homepage. This inbound traffic is often issue driven, with readers concerned about issues such as immigration and healthcare reform. The foundations and NGOs that support much of the agencies reporting also look to engage legislators around particular issues. 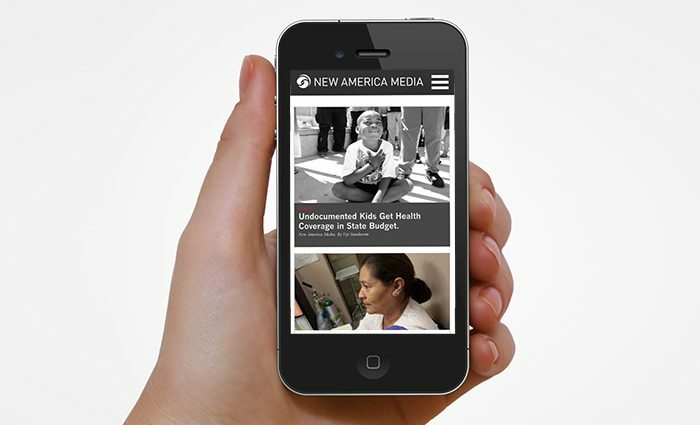 The mobile first site is designed with advocacy tools that appear at the end of articles. Readers that wish to engage with legislators around a particular issue may do so my filling out a simple form, entering their zip code to automatically find the legislator in their district. The application then forwards an email message to the legislator. 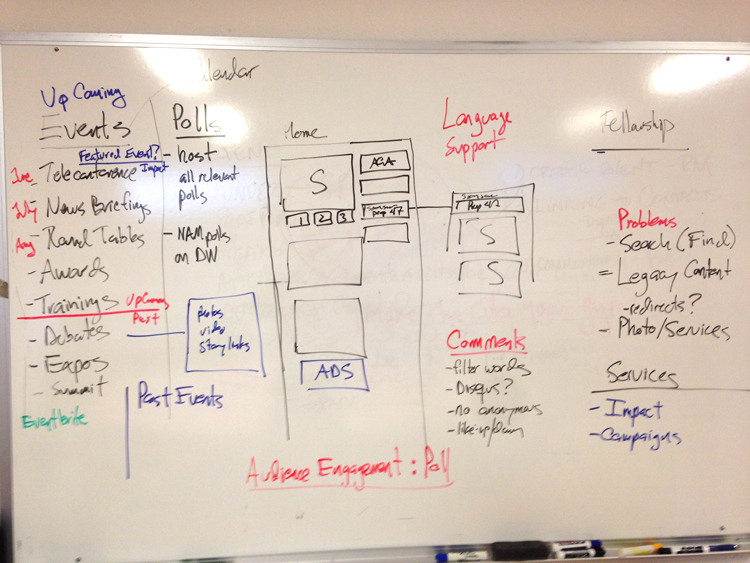 Uncovering user insights through collaborative design research sessions. Careful listening and probing questions uncover a variety of activities conducted by the agency that could be served with a mobile centric site. 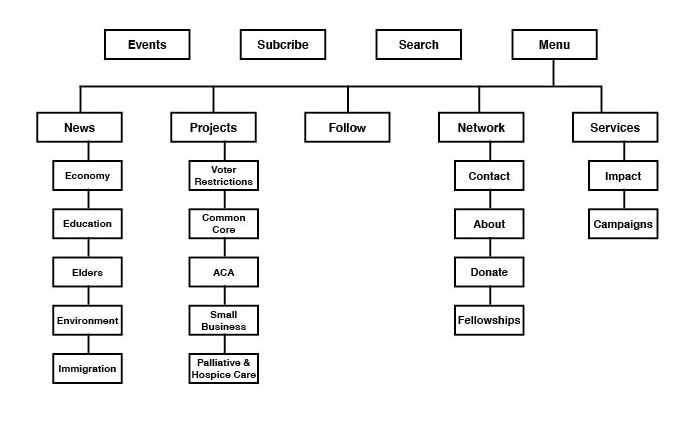 The key topics covered by the agency are reflected in the categories that are emphasized in the sitemap. The design process I led the agency through help them simplify and focus and core functions for the site. The agency currently has a dizzying array of over 23 categories of content. A thorough analysis of user data revealed that only 5 of those categories represented almost 75% of page views. Using this insight, the new site navigation will be distilled down to basic categories. 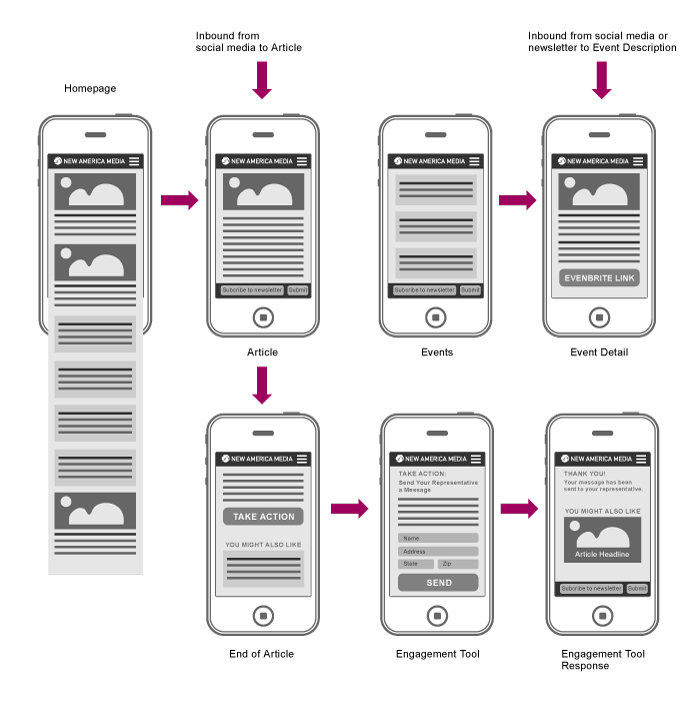 Re-imagine a legacy news agency for a mobile centric audience.